Antonius Vlavianos, the ambassador of Greece to Norway, gave today a lecture in Oslo on Greece´s Presidency of the European Union´s Council of Ministers, which commenced on January 1st. 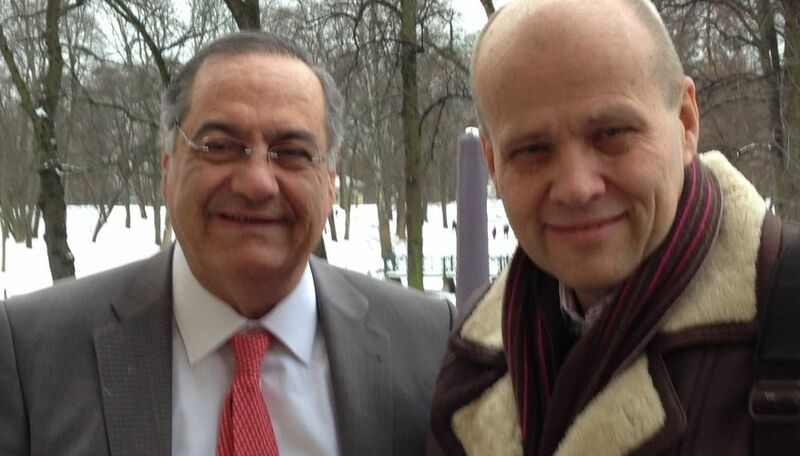 His Excellency Mr. Vlavianos has been the Greek envoy to Norway since 2008, and has earned the respect of Norwegian politicians, media, and the diplomatic corp.
Today was the first meeting of ECAL Convenor Jan-Aage Torp and the Greek ambassador. The meeting was very cordial indeed. Mr. Antonius Vlavianos reminded the 40 participants in the meeting of Norway´s Europe Movement in Oslo Literature House that this is the fifth time Greece assumes the EU Presidency since she became an EU member in 1981. He felt that Greece is well prepared to handle the challenges and shape the EU policies in the coming six month period. - The framework we are dealing with is that Greece is emerging from the economic crisis, we are presently achieving fiscal consolidation and remarkable reforms in every sector of society, we have to deal with rising euroscepticism because of the unacceptably high unemployment in Greece, and we are facing European Parliament elections in May. This creates a framework that requires resolute leadership and ability to handle delicate challenges, underscored Mr. Vlavianos. - Our priorities for this period are 1) growth and job creation, 2) EU and Eurozone Integration, implying improving economic governance and promoting a Banking Union, 3) dealing with mobility, border protection and migration by managing migration flows, facilitating mobility as a tool for growth, and by promoting burden sharing, as well as 4) integrating EU maritime policy. When asked about the possibility of Greece leaving the EU, the ambassador was crystal clear: - Nobody in Greece really wants that. For us, Europe is not a luxury but a necessity! In the candid discussions after the lecture, a Greek citizen who has moved to Norway, a «Mr. 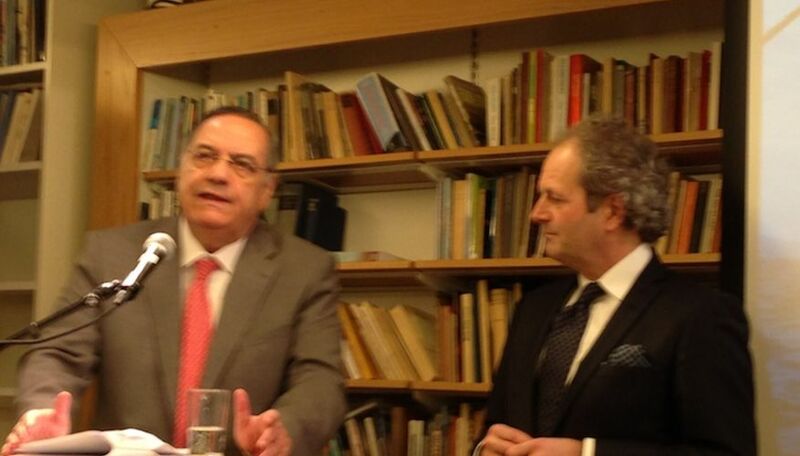 Costa», asked critical questions about the integrity of Greek politicians. The ambassador handled the probing questions candidly: - There is no doubt that the problems of Greece can only be blamed on ourselves, specifically on politicians of all parties! I agree with you! declared Mr. Antonius Vlavianos to the Greek young man.